2 Chainz has been referring to Kesha Ward as his wife forever, but now it’s official … they’re married! 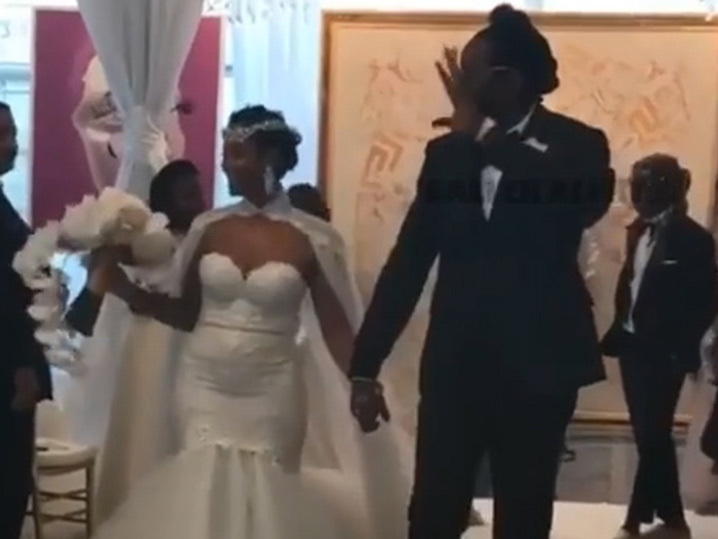 2 Chainz and Kesha tied the knot Saturday at the Versace Mansion in Miami, with some famous pals looking on, including Kim Kardashian, Kanye West, Lil Wayne﻿, Alicia Keys, Swizz Beatz and Gucci Mane. They’ve been together since 2006 and have 3 kids together. 2 Chainz actually proposed to Kesha twice … once at the BET Awards in 2013, but he never sealed the deal back then. He proposed again 3 months ago at the Met Gala in NYC.